Taipei, like so much of Taiwan, is constantly changing. Urban renewal and beautifiction, construction and „development“ make a lot of places more pleasant, but they also threaten to destroy a lot of what was good about the old. 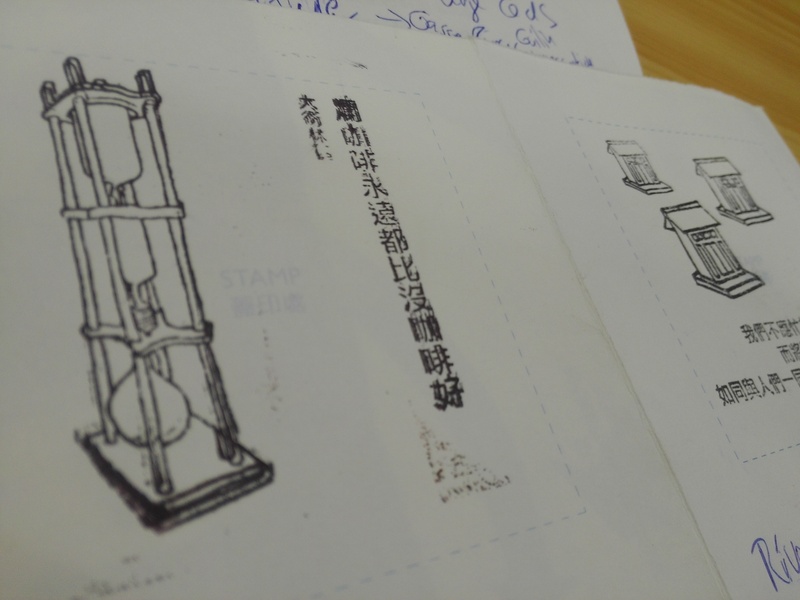 A young designer was flown in from Europe, experienced Taipei’s oldest quarter and made some great observations. 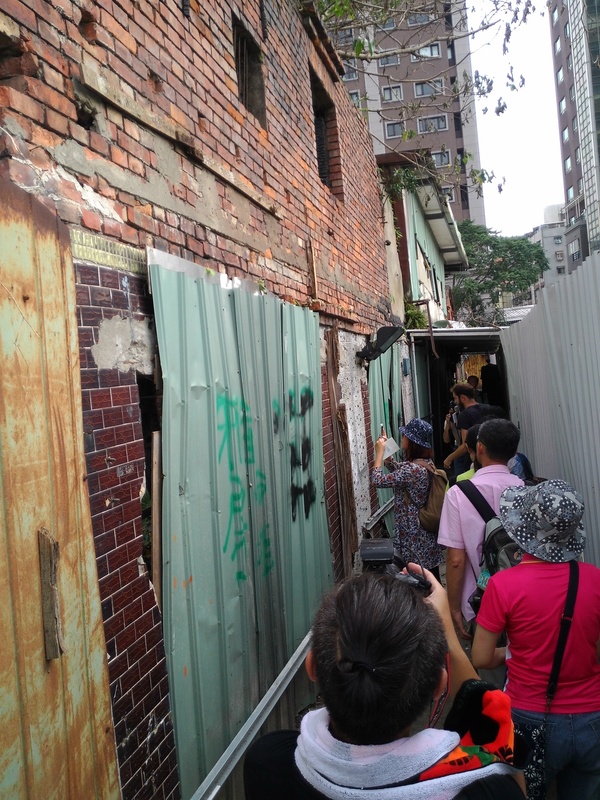 Calderon’s mission was to get to know Wanhua district, learn about the urban renewal processes going on there, and with his fresh outsider perspective hopefully come up with some ideas to inspire the locals. Last Friday, he took 50 people on an extended walking tour around „his“ Wanhua, sharing his experiences and observations. The tour was announced in the Taipei Times, and I recommend you read the article to get an idea of Calderon’s approach. 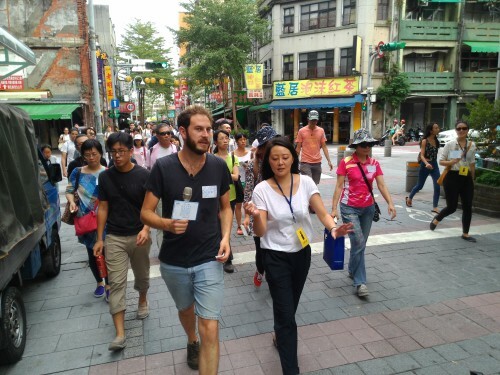 I was surprised to find myself being the only Westerner in the group – I know that many „waiguoren“ care deeply about Taipei, so why didn’t they show up? Walking the streets of #Taipei #Wanhua with Brussels-based designer Pablo Calderon Salazar. Before coming back to our tour, some words on the location. Wanhua is one of Taipei’s oldest districts. Together with Dadaocheng further north, this settlement by the river was the nucleus of the urban development that resulted in today’s Taipei City. History and tradition can be found everywhere here by those who want to look. However, by many standards Wanhua has fared badly over the last 40 or 50 years. The train of modernization passed by Taipei’s western districts. New developments, modernization, construction, beautification, gentrification – it all happened and still happens further east. Apart from bustling Longshan Temple, most tourists today have little reason to visit Wanhua. And when they come here, some of them are probably irritated by what they see in the park in front of the temple – one of the few spots in Taipei where homelessness and social differences are out in the open. As for neighboring Huaxi St. Night Market, once infamous and listed in every guide book for offering snake blood drinks – it is also not the kind of place that today’s official Taipei is very proud of. Much of Wanhua seems to be stuck in a ca. 1978 time capsule. 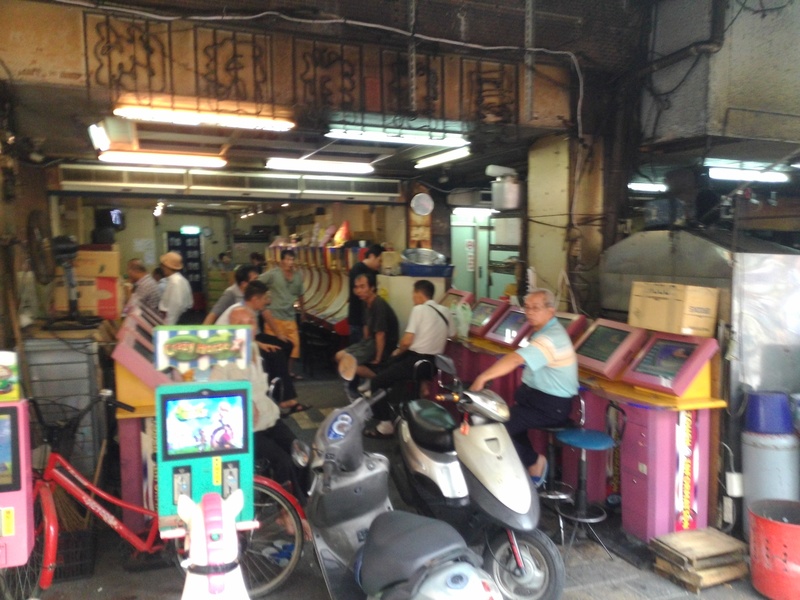 Here, one can get an idea of what most of Taipei must have been like a generation ago – the small dark stores, the elderly people spending most of the day on the streets, the fading neon signs, the patina that often turns into grime. It has loads of charme, but it’s dying, and if not taken care of, it will vanish together with the current 60-plus generation of shopowners who are still holding out. „Decay“ is the word Calderon chooses to describe the process city quarters like Wanhua are facing. But he does not use it in a judgemental way, nor does he imply that the situation is hopeless. He spent time working on projects in decaying working-class quarters in several European countries, so he can compare similar processes happening in very different places. His „base camp“ during his stay in Taipei, and the place where our tour started, is one of the spots where one can experience an alternative version of the future Wanhua is facing: The old street of Bopiliao, a meticulously renovated block of 100-year-old brick buildings that have miracuously survived the „development“ which destroyed so much of Taipei’s heritage during the decades of economic boom. In places like Bopiliao, you can feel a sense of pride in history and tradition. Many visitors who find their way here (it’s only a short stroll from Longshan Temple) are visibly captivated by the beauty of the old buildings, the little maze of backyards, gardens and rooftop terraces. It probably gets some of them thinking „Why can’t we build like this today anymore?“ At least those are my thoughts every time I visit. Unlike Huashan 1914 Culture Park further downtown, a former factory turned into a cultural playground, Bopiliao has been spared the kind of Eslite- or VVG-like commercialization that often hides behind a retro-chique facade but is mostly interested in selling faux-vintage or designer-cutesy stuff at inflated prices to customers whose true interest in history is mostly superficial, constantly expanding and relying on uncritical media coverage to endlessly repeat the narrative. I hope the city government will keep it this way. I am now going to jot down my notes of some things Calderon said during our walk that I found interesting. You’ll get an idea of his way of looking at things. I am interested in the social fabric of a neighbourhood and the community around it. To build a sense of community and identity is an important work. I try to contribute to that. The goal of the tour is to share my personal reflections, thoughts and opinions of places. 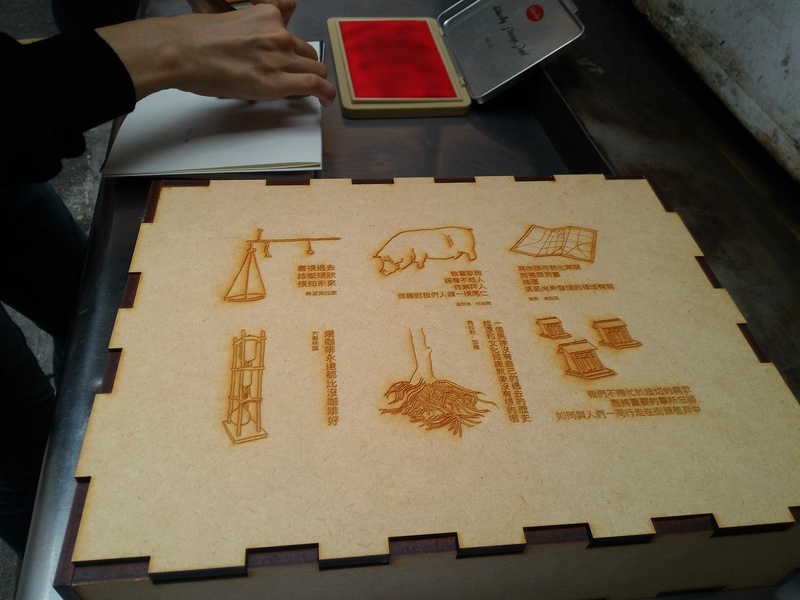 Designer that he is, Calderon prepared a leaflet and some stamps so all participants could take home their own memories of the places that for him, taken together, constituted his personal Taipei experience. He also picked some quotes and had them translated into Chinese. This is an urban neighborhood on a human scale. You can find everything in these little shops. If you want to get a haircut, you just need to walk over one meter from the shop next door. The small industries you can see here are representative of the history of Wanhua. The shopping malls and buildings in east Taipei are not on a human scale. You cannot relate to them. So why is Wanhua a neighborhood in decay? There are always people in this park, something always is happening. I passed through here every morning, and I like it a lot. This place has been in business since 1956. It already came with a story: One of my guides told me that her grandparents used to date here. It was a big relief for me that Taipei has a coffee culture. Before I came, I thought I had to drink only tea. My quote for this place is by David Lynch: „Bad coffee is better than no coffee at all.“ But the coffee here was great. With its huge billboards, this place is much closer to what I expected Taipei to be before I came here. I took part in a tour of this district where I learned that these buildings used to be brothels, and that they were run by local mafia clans. Now almost all traces of this are gone. Some citizens wanted to turn the place into a neighborhood history museum, but they were unsuccessful, and the buildings are being destroyed. Streetfood stalls near Huaxi St. This is where I had my first taste of Taiwanese streetfood. We really indulged ourselves. We saw a huge pig, a massive lifestock, in the middle of the street. I don’t like pigs, but my Taiwanese friend thought it was cute. Please raise your hands, how many of you come here regularly to have food? … Four out of fifty. 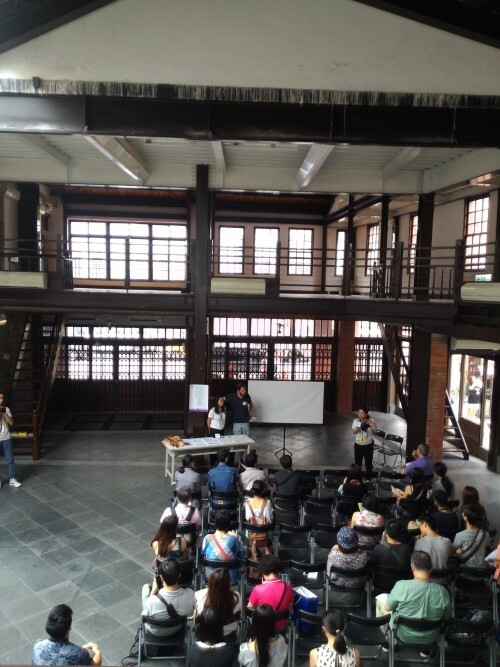 After the tour, Calderon gave a presentation about what he learned from his trips to different cities, and how designers can influence urban renewal processes. For example, he stressed the importance of everyday life, of making hidden things visible, and of building on what’s already there, instead of beginning from zero. It was quite thought-provoking, and I hope there will be a better summary available somewhere (maybe on his homepage), or even a video. 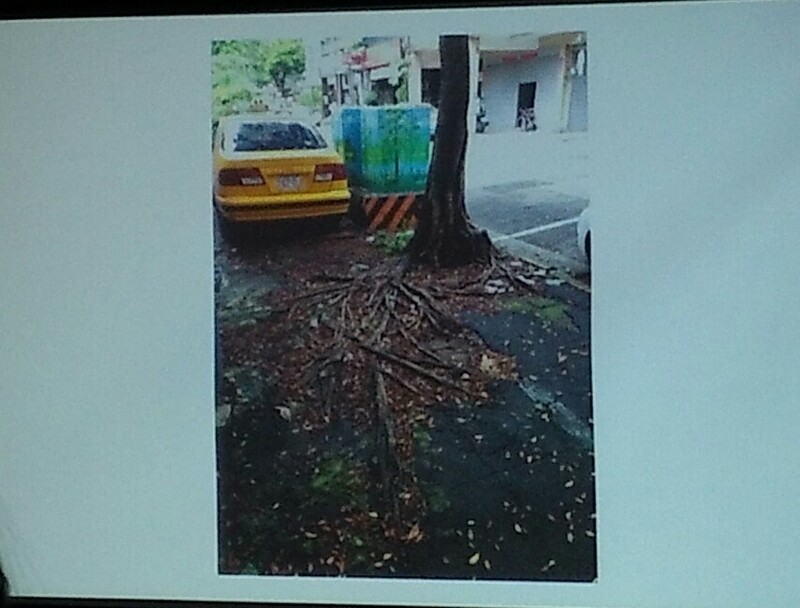 For him, these tree’s roots symbolize Wanhua’s origins and traditions. You can try to cover them with asphalt over and over, but in the end they will always come up again. After taking that photo, he did not manage to find the spot again. What do you think? Do you prefer the new and shiny, or the old and grimy Taipei? 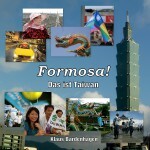 I am a German reporter living and working in Taiwan. Read more English posts on this otherwise mostly German blog. You can also follow me on Twitter, Facebook, Instagram, and Google Plus. Video: What Makes Taiwan so Special? Taiwanese girls dating Western foreigners: What is a Xicanmei? Who is behind the „foreigners talk about Taiwan“ videos? Thanks for the writeup, looks a lot of fun! Right, I did not really pay attention to it being a weekday afternoon. That probably did not help. On the other hand, if 50 Taiwanese could make time to show up, why not even 5 or so Westerners? Great post, I live in WanHua and love it here. Unlike most of Taipei, there are 4 independent convenience stores run by old Taiwanese people before I get to a 7/11. -_- You can’t blame/shame people for being busy with work (the photos look like mostly students/elderly), or for the event not being advertised where foreigners read – For example the Foreign Students In Taiwan group on Facebook would have likely drawn a crowd. True, I did not think of the consequences of this being on a Friday afternoon. Still, there should be enough freelancers, students etc. who would be interested. If the Taipei Times is not a place where foreigners read, I cannot help it. There’s something in there every day that will not make the rounds on Facebook. In town for a couple of weeks could impart much insight. I and many foreigners already ‚get‘ the points the visiting artist is making. Most foreigners are working or studying here on weekdays and you also know I guess that there aren’t that many foreigners in Taiwan compared to Taiwanese, at least foreigners at leisure that is. Well, perhaps you should lead a tour yourself… that’s what this short project wants to do: invite different groups of people to ‚walk the city as a critical act‘ and engage with the historical and cultural value of the place (as well keeping some type of ’souvenir‘ to reinforce the memory). As it was said on the tour and reinforced in this report, such a tour didn’t attempt to give any ‚insight‘, but allow the locals to realize the value of what they have and give them some basic tools to exploit its potential for their benefit. I think you are getting defensive when nobody was getting offensive, I have no interest in giving a tour, I just stated the reasons that I wouldn’t or couldn’t have joined this tour. You really think this tour wasn’t about giving insights to locals that they might not have already? I’m not trying to be a pain but your last paragraph ‚realize the value of what they have’…is an insight. I didn’t like your throw away comment aimed at foreigners in Taiwan, it didn’t seem fair to me. Would you agree with that after some reflection? Happen but not for telling folks about them beforehand! News and repetitive political posturing. Yes! Finally something about social media.